Today, we are on the brink of a new technological and design paradigm, where the capabilities of technology and design aesthetics have progressed faster than in any period of human history. These two decades have seen a rapid change and advancement in technology – the rise and fall of compact disc; the substitution of cartridge gaming with virtual reality (think Oculus Rift and Gear VR); the popularising of native content such as Netflix, which strategy is to develop original programming and entertainment so as to attract and maintain a subscriber base; and the phenomenon of the world population that is now ‘living’ online. The rapid technological transition, from our very own mobile phones to smart home living, may prove to be too fast for some of us to adapt to, and in reality, shows no sign of slowing down. NASA’s Curiosity Rover landed on Mars in 2012, giving us a glimpse of what the planet actually looks like after years of speculations, and it is not stopping there. Space exploration for the public may be made possible in the next few decades. The development of the Space Elevator, a planetary lift that transports people from Earth to the Moon and beyond, may just be half a century away. Which means, instead of choosing a floor when getting on an elevator, imagine choosing a planet. In science, neurohacking may soon become a thing. With neuroscientists relentlessly finding ways to read people’s minds, it is not surprising to know that science and machine would very soon have access to our innermost thoughts. On one hand, such technology could treat mental states such as addiction or even memory restoration, while the danger lies in the threat of hackers taking over brain-to-brain communications, consequently causing the loss of management over one’s emotions and thoughts. As much as it is a double-edge sword, technology and design, closely interwoven, serve primarily to improve our way of living. It is now part of our lifestyle, culture, history, and even identity. We have chosen five examples that showcase how our future may look like when the harmony of technology and design achieve its next level of success. Does the future of washing machines involve the use of water? Not exactly. 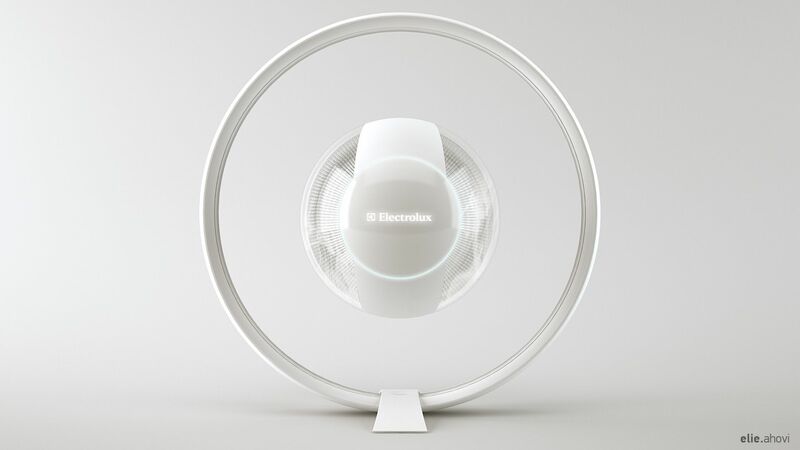 Industrial designer Elie Ahovi has revolutionalised laundering with the concept of a washing machine that levitates your clothes and washes them with dry ice instead of water. Named Orbit, the stylishly designed machine uses electromagnetic forces and liquid nitrogen, coupled with high pressure, to lift dirt off the clothes. The dry ice, fired at high pressure, breaks down particles of dirt, which is later filtered out. The entire process lasts only for a couple of minutes. Unlike water, carbon dioxide gas does not ruin clothes made of sensitive fabric. The bonus? The futuristic design of this machine looks straight out of the movie Oblivion. In August 2010, thousands were trapped in a massive traffic jam along the China National Highway 110 and Beijing-Tibet expressway that lasted for more than 10 days. 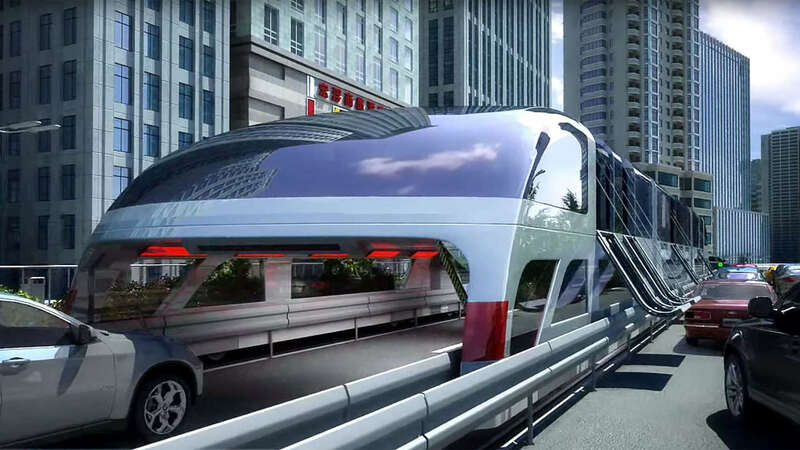 That same year, Engineer Song Youzhou introduced, and now backed by Beijing-based company Transit Explore Bus, the idea of a Straddling Bus. The gigantic bus would span across two traffic lanes and could carry up to 1,400 passengers at once. It is designed to travel above street level on designated tracks, allowing other vehicles to pass freely from underneath. 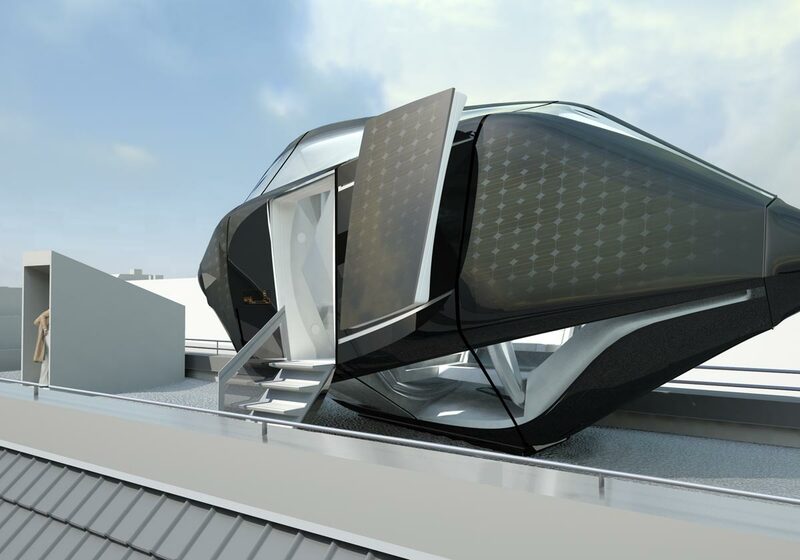 Comparatively, one Straddling Bus is the equivalent of 40 buses, which means cutting annual fuel consumption by 800 tons and carbon emission by over 2,500 tons. If it means saving hours or even days of getting stuck in an excruciating traffic and less pollution on the environment, the Straddling Bus may well be one of the greatest inventions this century. We love the luxury of the Mandarin Oriental hotels, or the localised, intimate and sometimes rustic vibes of Airbnb apartments. 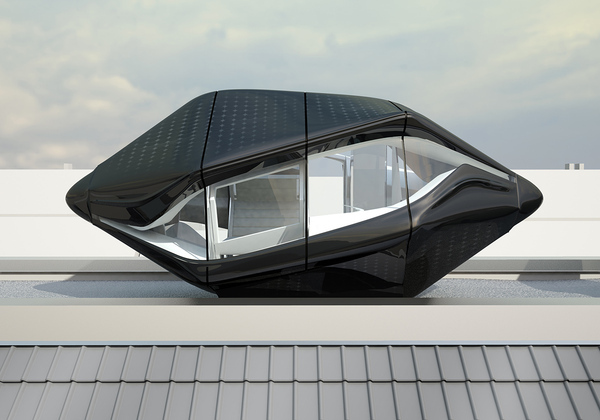 What about individual capsules that are perched atop buildings throughout a city? A new type of urban retreat, the Living Roof is a stylish suite with a functional space that combines sleep, lounge, and work areas. To choose the desired mode, guests simply have to rotate the appropriate module downwards and let the transformation take place. Is this the future of hospitality? 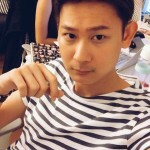 Only time will time. Visualise a chair, and what materials come to mind? Wood, steel, or plastic? Those are definitely not on designer and engineer Ben Alun-Jones’ list. 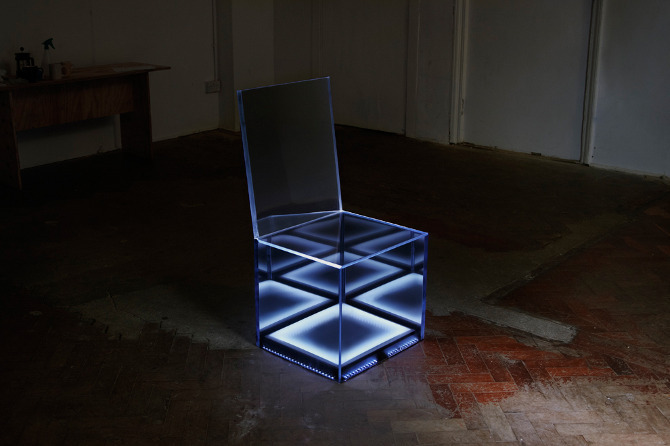 He created the Affinity Chair using acrylic, mirror film, LED lights, ultrasonic sensor, custom electronics and coding. The chair remains inconspicuous, blending itself with its surroundings. As the sitter approaches, it comes to life – pulsing LEDs light up and quicken like a heartbeat, illuminating the edges of the chair. He has transformed a chair into something more meaningful, as if giving it life. It is intriguing not because it is a chair that can lit up, but rather, the clever combination of technology, design, and art. Think skateboard, but one that levitates. Car manufacturer Lexus created a hoverboard called Slide, which is a skateboard-like device that floats a few inches above the ground. 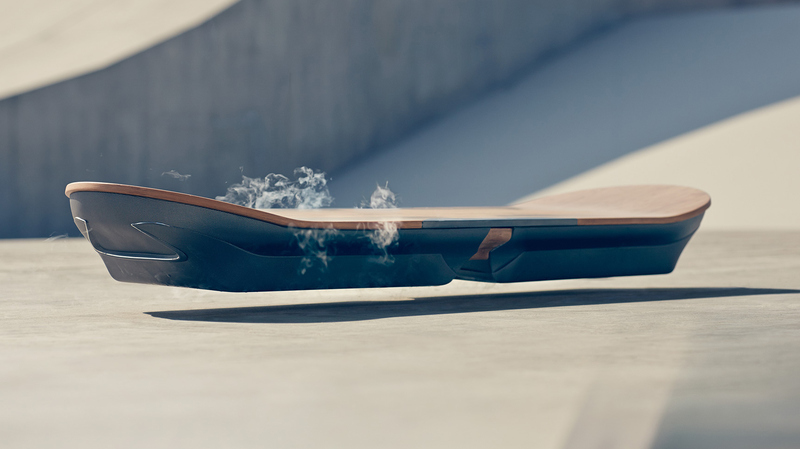 Using magnets and superconductors cooled by liquid nitrogen, the board is able to levitate and move. However, there is a catch: a large amount of magnets built in the ground is required for the hoverboard to work. Unless the ground we walk on is reconstructed with embedded magnets, the concept of levitating skateboards will only serve as an aspiration for a more fascinating mode of transportation for now.